We love the RoomBox® freeTech! First, the RoomBox is a Camper-car in a Suitcase, we can use it to go everywhere, visiting cities or doing our favorite sports! It turns, in 5 minutes, our car into a camper-car for sleeping, cooking and eating. 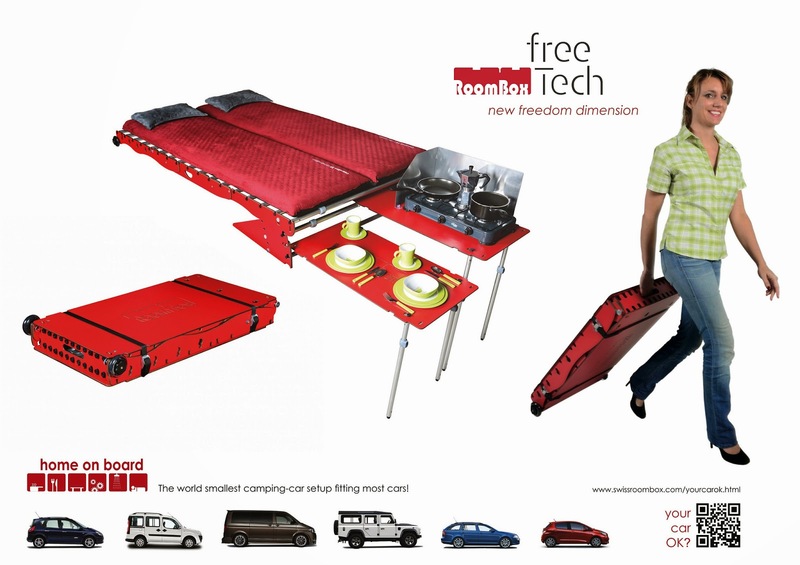 The RoomBox® freeTech makes the camper-car accessible to many more people, since for a limited budget, you can transform your car, minibus or hired car into a camper-car.